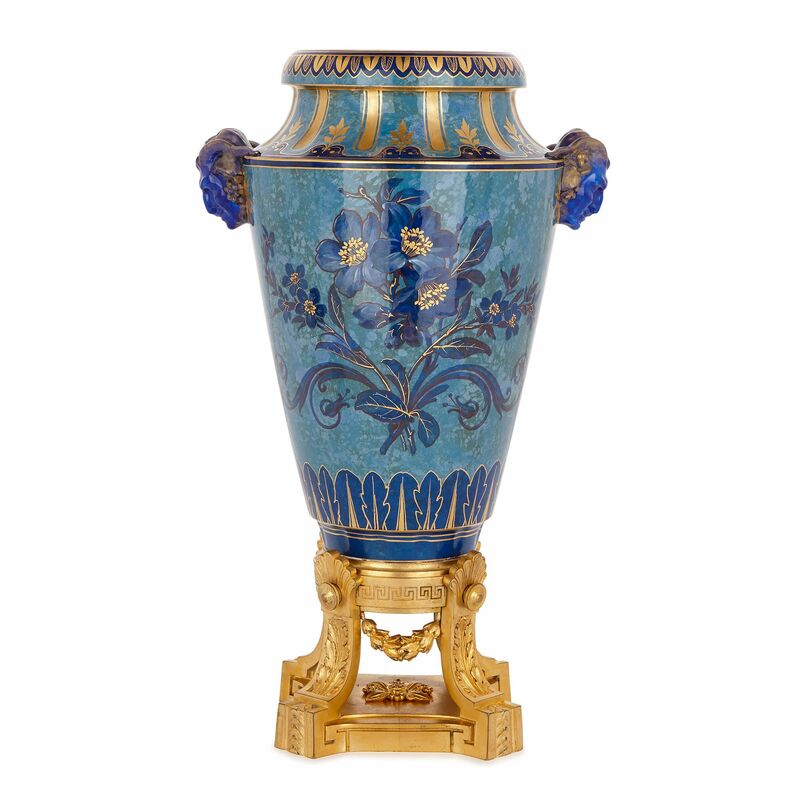 Crafted by the acclaimed Sèvres porcelain factory, this ormolu-mounted, painted and gilt porcelain vase is a truly beautiful piece of decorative art. The vase features a conical body, with a broader upper section and tapered base. It is mounted onto an ormolu plinth, which consists of four curved, foliate supports, set on a square base. The base is decorated, at its centre, with a foliate motif. 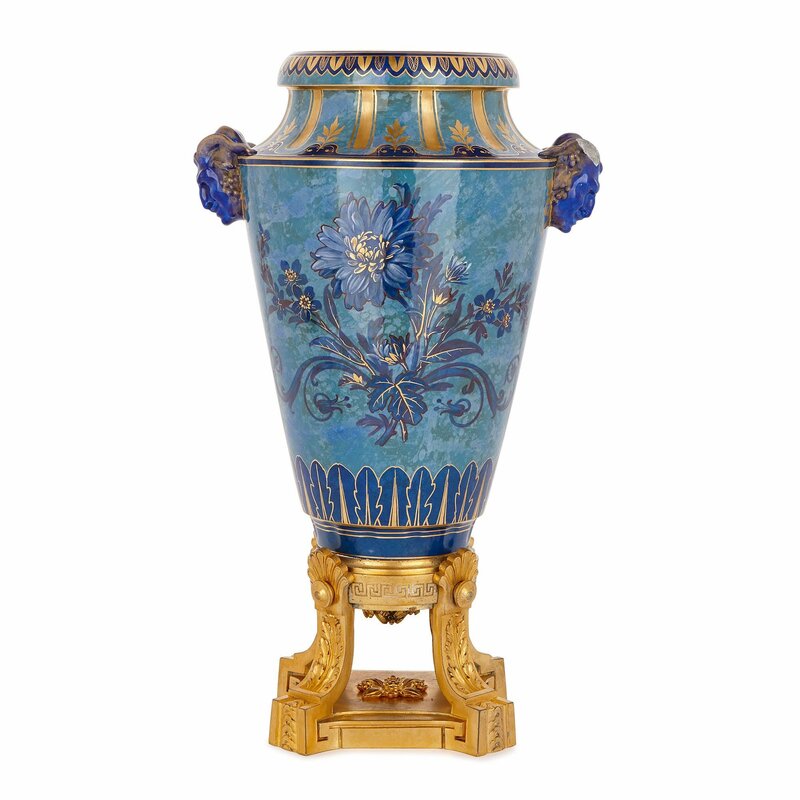 Above, the porcelain vase body is decorated with parcel gilt, dark blue depictions of flowers, set against a dappled light blue ground. The base of the body is ringed with stylised dark blue leaves, with gilt outlines. Expressive, dark blue porcelain satyrs’ heads are mounted onto the shoulders of the vase body. 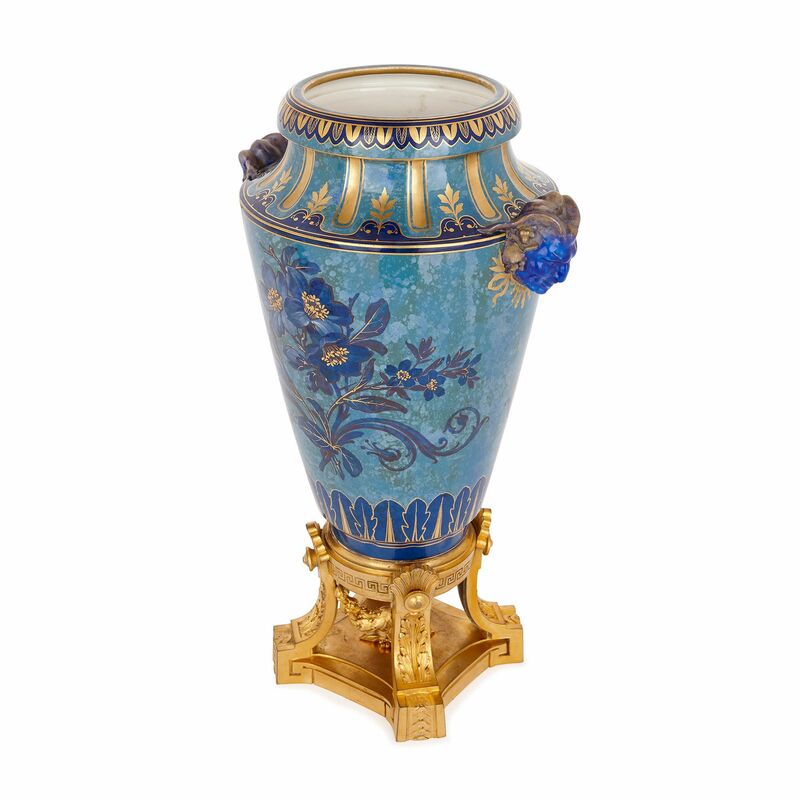 The vase features a waisted, light blue neck, which is decorated with gilt foliate motifs and fluting. Above, the mouth is edged with parcel gilt, dark blue leaf patterns. 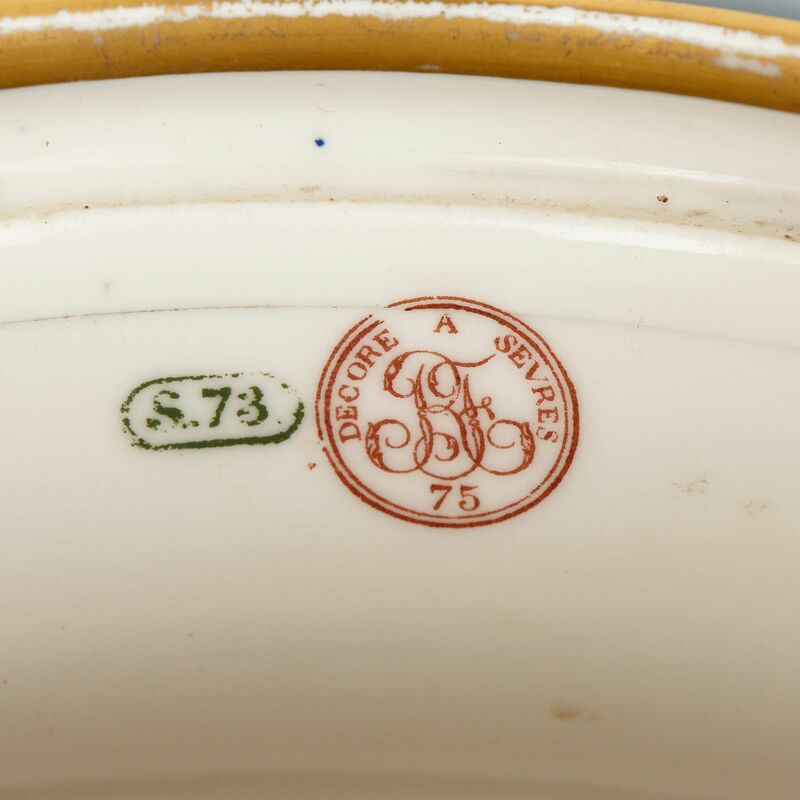 ‘S.73’, ‘DECORE A SEVRES/ RF/ 75’ is marked on the inside of the vase. 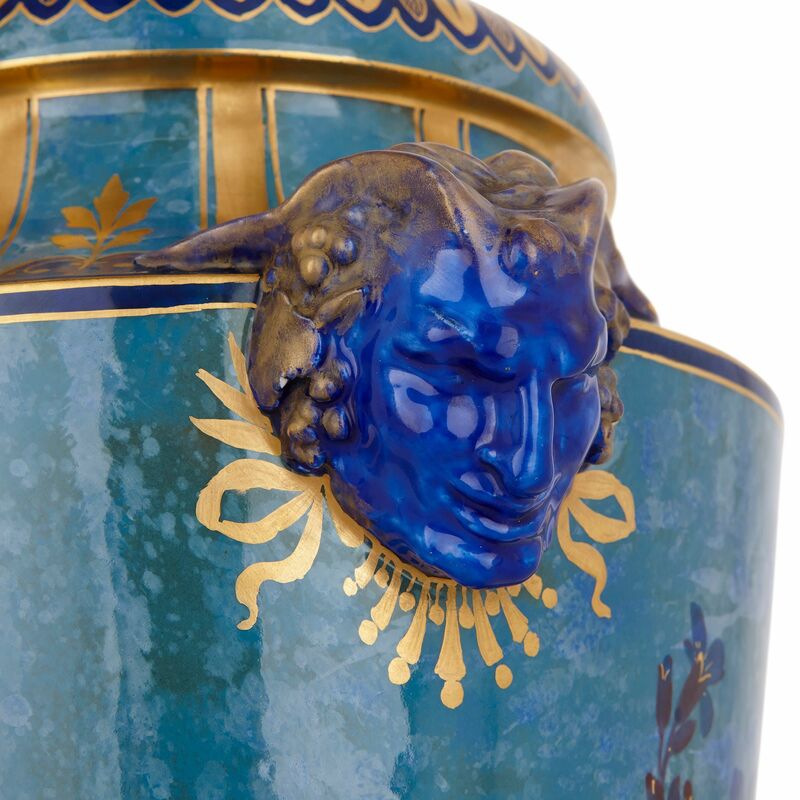 This indicates that the vase was crafted by the prestigious Sèvres porcelain factory, in the ‘République Française’. 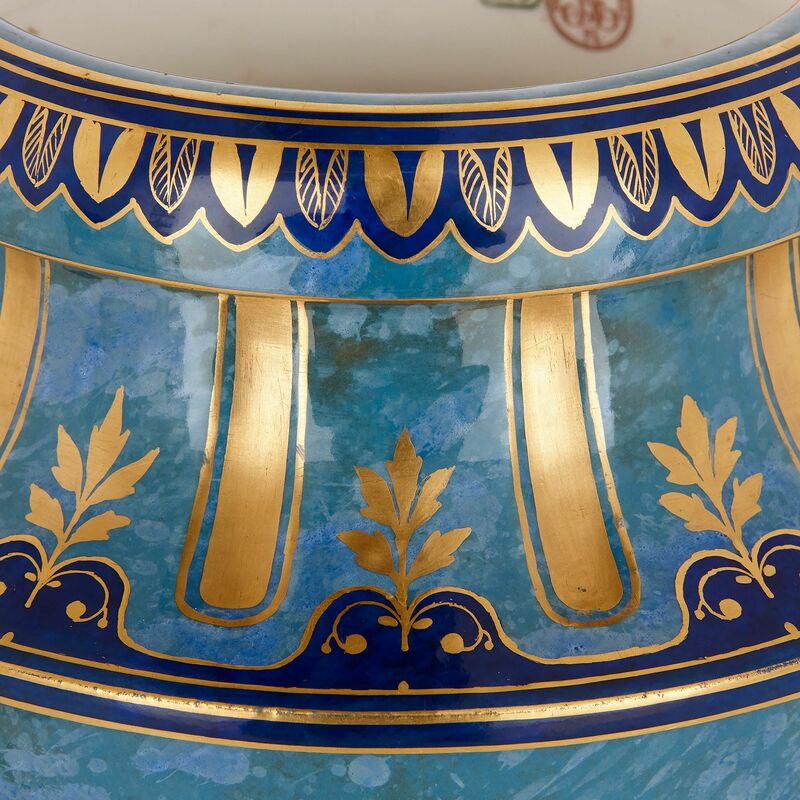 Established in the early 18th Century, the Sèvres factory became famous for its hard-paste porcelain wares, which were of exceptional quality and design. Sèvres goods were popular with French royalty and European nobility. 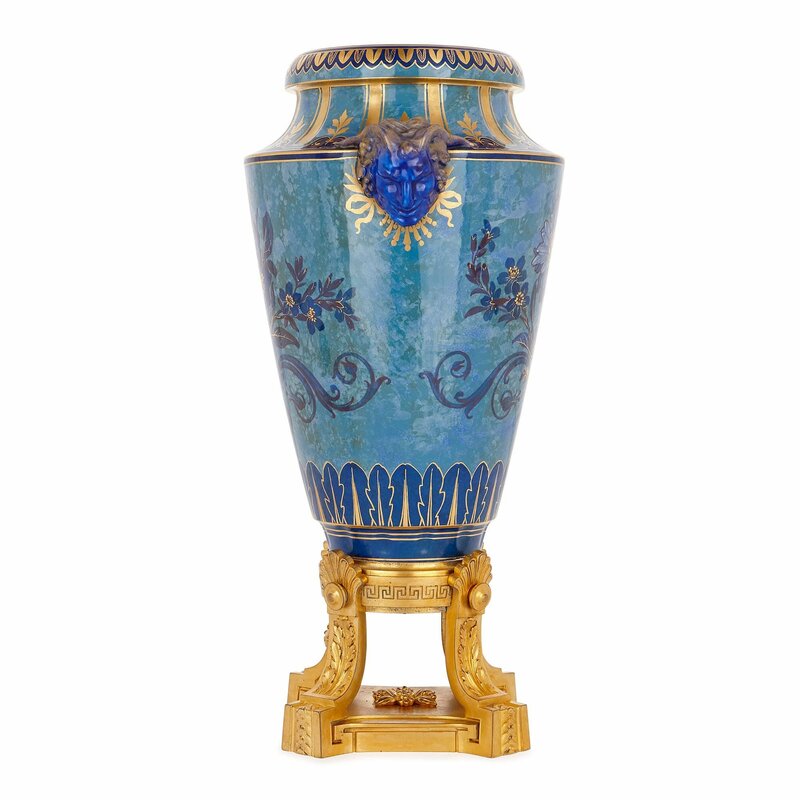 Antique pieces, like this vase, continue to be highly sought-after.